In tandem with Monday's iOS 11 release, Apple today also launched the first public beta of tvOS 11 for the Apple TV, while teasing the forthcoming beta of macOS High Sierra. The release follows a string of developer-only betas issued since WWDC 2017 earlier this month. Any Mac or Apple TV owner with compatible hardware can sign up to download the new code through Apple's Beta Software Program. It's not yet clear what if anything is different from the developer beta. 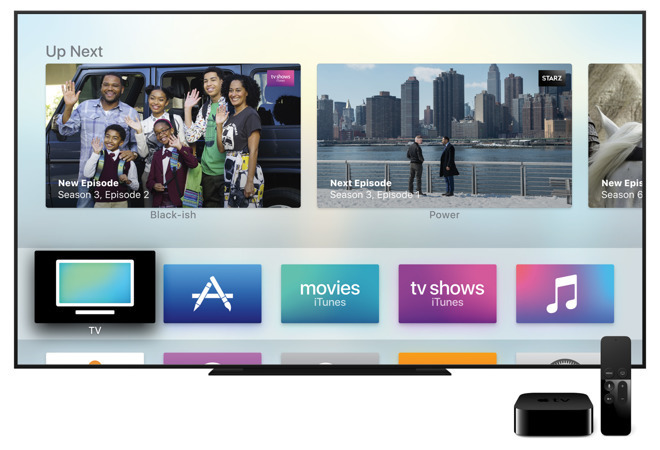 tvOS, however, has never before been available for public testing. The finished versions of both operating systems are due this fall. High Sierra will transition Macs to the Apple File System, already on iOS 10.3.x devices, and make enhancements to native apps like Safari, Mail, and Photos. It will also support standards like Metal 2 and H.265/HEVC video, and eventually enable use of external GPU enclosures for more PC-level graphics. tvOS 11 will offer AirPods compatibility, automatic switching between light and dark modes, and Home Screen Sync, allowing households with multiple Apple TVs to stay in check.